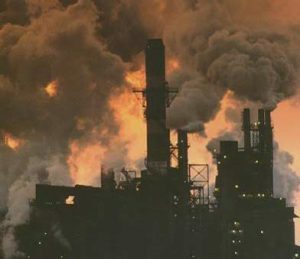 Pollution from current or historical industrial activity can cause illness or injury. As specialist personal injury solicitors in Cheshire Stonehewer Moss have detailed experience in Cheshire based industries and pollution incidents. If you suspect that you or your family have become unwell or that an illness or condition has been made worse due to pollution we can advise you and assist with securing compensation where appropriate. Guide to UK Air Pollution Information Resources (pdf). Defra also provides a free automated telephone service on 0800 55 66 77. This provides an air pollution forecast for the following 24 hours and latest data by region as well as health advice. Sometimes employees are asked to work surrounded by dangerous fumes or dust without the necessary protective clothing or any training about how to work with dangerous fumes or dust. Situations can also arise where members of the public have come into contact with polluted air after harmful fumes or dust have been pumped or accidently leaked into the air. Large scale demolition work can also result in harmful levels of air pollution. With increasing pressures to preserve the countryside and redevelop brown field sites this is a growing concern in Cheshire. Inadequate site remediation prior to redevelopment, historical or unregulated dumping of waste or poor inspection or monitoring of a site can all lead to employees or members of the public being exposed to harmful levels of pollution. If you or someone you know has been injured or contracted an illness or disease as a direct result of pollution you should contact a specialist lawyer for advice. There are laws and regulations in place that companies must comply with to control pollution. If these regulations are not adhered to then pollution can reach harmful levels and may cause illness to people living or working nearby. If you are made ill from pollution or pollution makes an existing condition worse then you may be entitled to claim compensation from the person or company who caused the pollution. If you suspect that pollution is making you ill then it is important to get the correct advice quickly. You should report the matter to your employer or the occupier or owner of the site which you believe is causing the problem. The employer or factory owner has a responsibility to carry out risk assessments and monitor pollution levels and should actively take steps to eliminate or reduce the pollution. Visit your GP and seek medical advice. It is important that you retain any evidence you may have which supports your exposure and ensure that when you visit your GP / hospital for treatment you mention the cause of your illness to your doctor. Also remember to retain evidence of any illness related expenses such as receipts for prescriptions or medication and evidence of travelling expenses. Providing it can be proven that your injury was caused by your exposure to the polluted air and the person / company who allowed you to come into contact with the pollutant was negligent, then your claim for compensation should be valid. Any photographs or documents relating to the hazard should be retained, these may be important as evidence. As one of the leading specialist personal injury solicitors in Cheshire Stonehewer Moss are a local friendly firm with specialist knowledge and experience of pollution in Cheshire and the North West. We can guide and support you through the process of securing the compensation that you are entitled to. Error: Error validating access token: Session has expired on Saturday, 09-Mar-19 13:12:58 PST. The current time is Wednesday, 24-Apr-19 20:01:04 PDT.